We are here to provide you and your family with the best youth soccer experience possible! We are proud to bring you a group of highly accomplished, caring coaches. Each coach holds a USSF coaching License, current First Aid/CPR certification and has cleared the LiveScan background check. Read the bios below to learn more about your coach. About d'Alary: d'Alary Dalton has 25 years of coaching experience. She has coached both recreational and competitive soccer at a variety of levels including youth, high school, and college as well as for the Olympic Development Program (ODP). She holds her USSF A-license, NCAA Advanced National Diploma, USYS National Youth License, and a Double Goal Coach certification from the Positive Coaching Alliance. She received her Doctorate in Educational Leadership from Mills College in Oakland, CA. 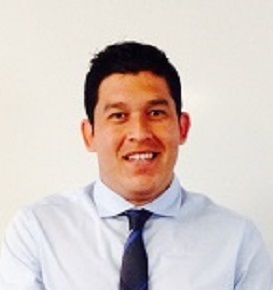 About Daniel Torres: Daniel was born and raised in Carpinteria. He played club soccer for FCSB and high school soccer at Santa Barbara High School. He also played Santa Barbara City College and Westmont College. He coached lower levels at Carpinteria and Santa Barbara High School from 2004-2008 before coaching the Boys Varsity team at Carpinteria High School from 2008-2012 and Laguna Blanca School during the 2014-2015 season. Daniel is currently the head coach for the San Marcos High School Boy's Varsity Soccer Team. graduated from CSU Channel Islands with a B.A. in Spanish in 2014. He holds a Cal South “E” License and works at San Marcos High School in Santa Barbara. About Heather: Heather has 13 years of coaching experience. She has coached club and high school soccer in Santa Barbara as well as her home state of Montana. She has also served on the coaching staff of the Rapids FC summer camp for five years and previously served as a coach for MSU Billings summer camps. Heather played collegiate soccer at the University of Redlands where she was awarded 1st Team All-Region on two occasions, 2nd Team All-Region, and Team MVP. She also served as co-captain for three seasons. She holds her USSF E-license. Heather received her Doctorate in Political Science from the University of California, Santa Barbara. She currently works as a post-doctoral scholar at the Bren School of Env. Sci. & Mgmt. About Jessie: Jessie is from Stockton, Ca and graduated from UCSB with a BS in Biopsychology. She is currently a Strength Coach and personal trainer. She works with the UCSB lacrosse and soccer teams, the SB Rugby Academy, and trains private clients at the Santa Barbara Tennis Club. Jessie has coached youth soccer in both Stockton and Santa Barbara. She has coached high school girls at Laguna Blanca and Bishop Diego and is currently in her second season with Sol Soccer Club. She continues to play as much soccer as possible and was recently selected for the prestigious WPSL Pateadores Team. Jessie holds a Cal South “E” level-coaching license. About Peter: Peter is a local from Santa Barbara. He started playing soccer when he was 5 years old and hasen’t stopped since. Peter attended Santa Barbara high school and played soccer all four years and played at SBCC for two years before transferring to Antioch University. "I still play soccer locally and stay active as much as possible. I play in two local leagues here in Santa Barbara. When I am not playing soccer I am usually watching the FC Barcelona games or hanging out with friends. I love to eat and try new food. I also enjoy playing video games and reading books on the beautiful game of soccer." Fun Fact: Traveling and seeing soccer stadiums has been a thing for Peter and he has started soccer stadium bucket list. Peter has had the privilege to visit a couple of stadiums in Costa Rica, Spain and here in the U.S.
Peter is a Teacher Assistant at Santa Barbara Charter School and works in their after school program. He holds an Cal South “E” License. About Pancho: Pancho was raised in Harvey, Louisiana and played club soccer for Lakeview Soccer Club in New Orleans. He moved to Santa Barbara in 2008 and graduated from UCSB in 2012 with a B.A. in Accounting. In 2014, Pancho pursued coaching opportunities within the Santa Barbara area and began coaching with SOL Girls Soccer Club. "I began playing soccer at the age of 11 and remember practicing almost every day (including in the 95+ degree Louisiana heat!). I played for Lakeview Soccer Club (now defunct) until I suffered a severe left knee injury while playing during my senior year of high school which prevented me from playing competitive soccer." Pancho currently holds a Cal South “D” License and works as an auditor for the County of Santa Barbara Auditor-Controller’s Office. Pancho has plans to earn my USSF “C” License by Winter 2019.